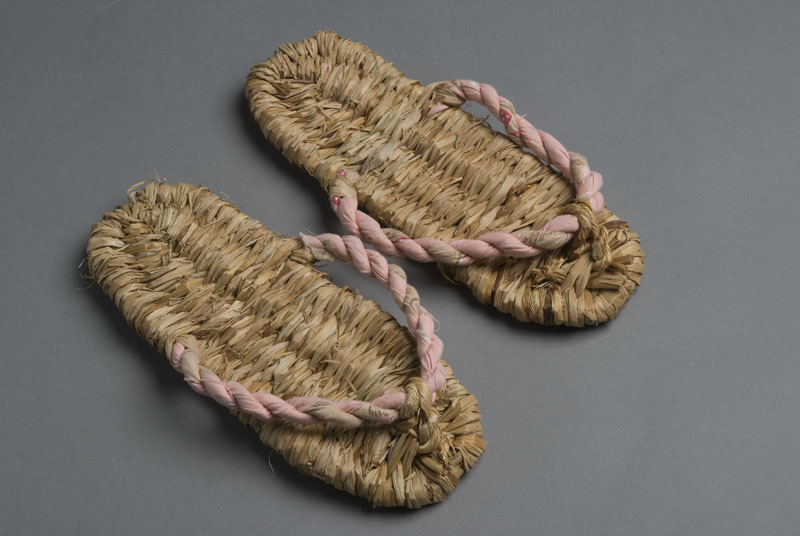 1 pair of zori (slippers) : straw, cotton ; right 9.25 x 3.5 in., left 9.5 x 3.5 in. 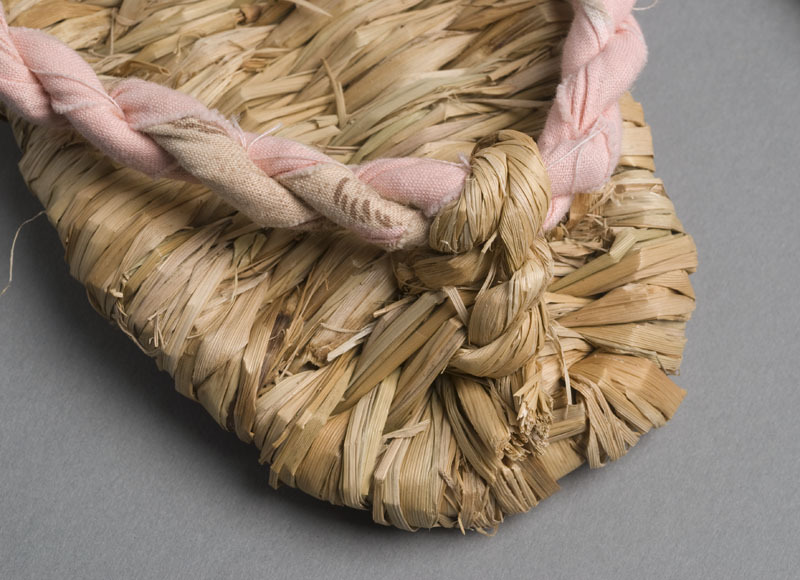 Slippers composed of woven natural rice straw with twisted pink and beige fabric covered straw straps. Left slipper is slightly longer than right side. Two pieces: right (A) and left (B) side.